With more than 20 years of experience in interior architecture, Doug has overseen the design, development and execution of project concepts, lighting design, construction documentation and contract administration in a wide range of projects. With more than 20 years of experience in interior architecture, Doug has overseen the design, development and execution of project concepts, lighting design, construction documentation and contract administration in a wide range of projects. With outstanding strengths in construction documentation and construction administration, Doug is known for his ability to collaborate with general contractors and to fully execute a client’s intended vision accurately and efficiently. 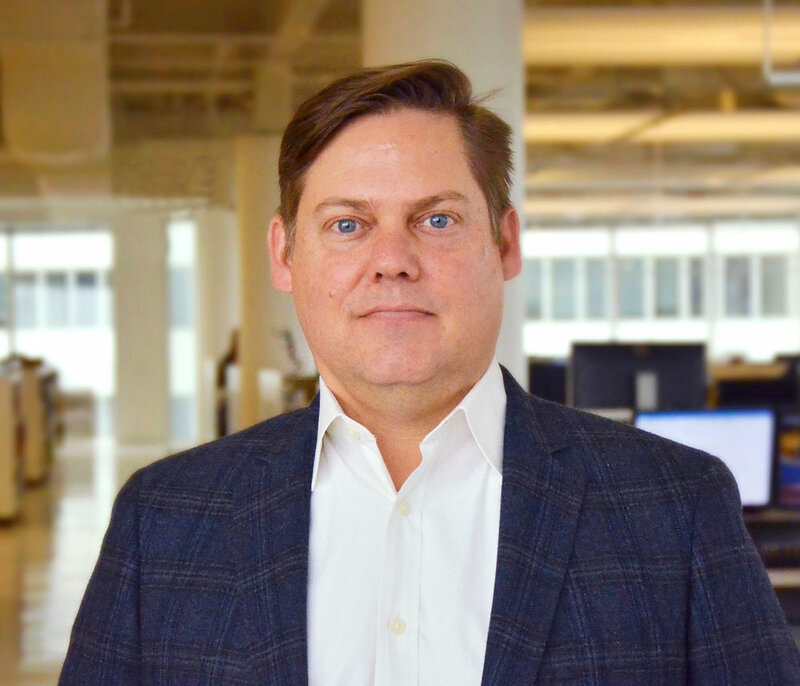 Throughout his role as a Project Architect, Doug has led teams through a variety of large scale projects for clients such as Calpine, ConocoPhillips and ExxonMobil. His work has included interior remodeling projects, new interior projects with core and shell buildings, and interior architecture projects. First and foremost, Doug is responsible for ensuring a client’s goals, objectives and budget requirements are met. Many of Doug’s projects have involved integrating high-tech innovations or complicated details into a design. These have included vertical circulation stairways; complex data centers with redundant MEP backup systems; energy trading floors with high occupancy densities and 24-7 monitoring suites. His record of strategic collaborations with clients and contractors has resulted in many successful projects and long-term relationships. “Everything is a learning opportunity,” he says. Doug’s attention to detail and accuracy and his unwavering work ethic have made him an invaluable asset to both clients and PDR. Doug graduated from Texas A&M University with a Bachelor of Environmental Design. He is a Registered Architect in the State of Texas, a LEED Accredited Professional through the United States Green Building Council, and has a Construction Documents Technologist (CDT) certificate through the Construction Specifications Institute.